We've shared a number of shopping tips here and given you insight on buying the right pieces. 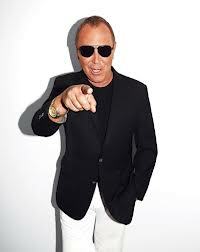 Today, we're sharing tips from fashion icon, Michael Kors. Surely he knows a thing or 2 about shopping, right? 1. Try on a few sizes first. Each designer cuts differently. Don't get caught up in numbers. 2. Trends are not commandments. If a new trend doesn't work for your body type or personal style, don't force it. Go your own way. 3. Simple shapes in crazy colors are easy to wear and won't languish in your closet. If you're going for new shapes and colors, stick with classic colors until you're sure. 4. Find a celebrity with a body similar body shape to yours. Use them as a guide for your own styling. It'll help you plan your purchases. 5. Evolve your look. You should have a point of view emitting from your style, and as you and the times change, your style should, too. We hope you like these. Thanks MK!